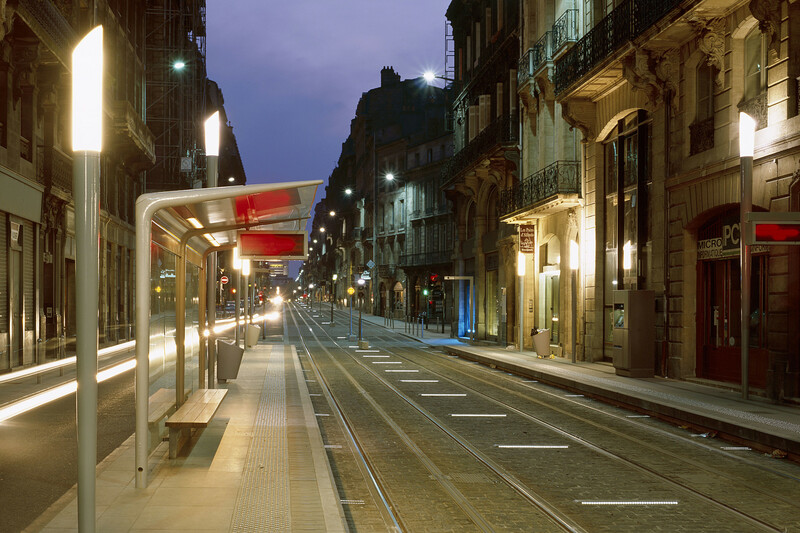 Elizabeth de Portzamparc has designed a line of street furniture in which each element encapsulates the same formal logic, thus constituting a coherent family of objects that form a tram network – 44, 6 km of tracks – with an immediately recognizable visual identity. With its strong, severe, light aesthetic, this collection of street furniture eschews all unnecessary ornament. 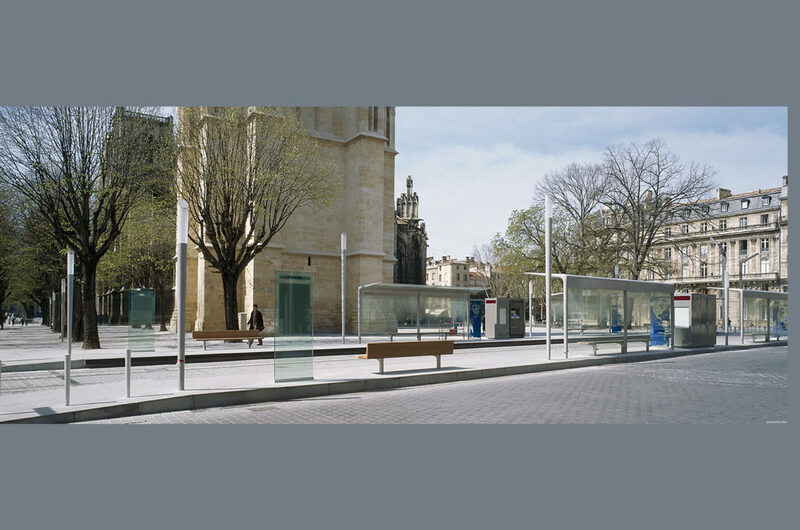 The scenography of the stations is based on the same principles of transparency, lightness and severity in the overall composition, essential elements that prevent the stations creating visual or physical fractures. The lighting is both efficient and dreamlike. 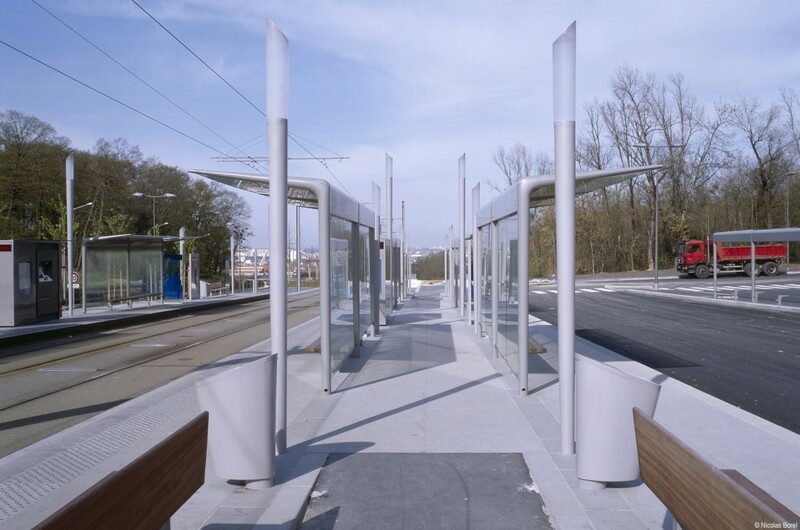 The stations and their furniture establish a dialogue with the different types of urban fabric they pass through: old neighbourhoods, modern districts, detached housing estates, landscape areas. 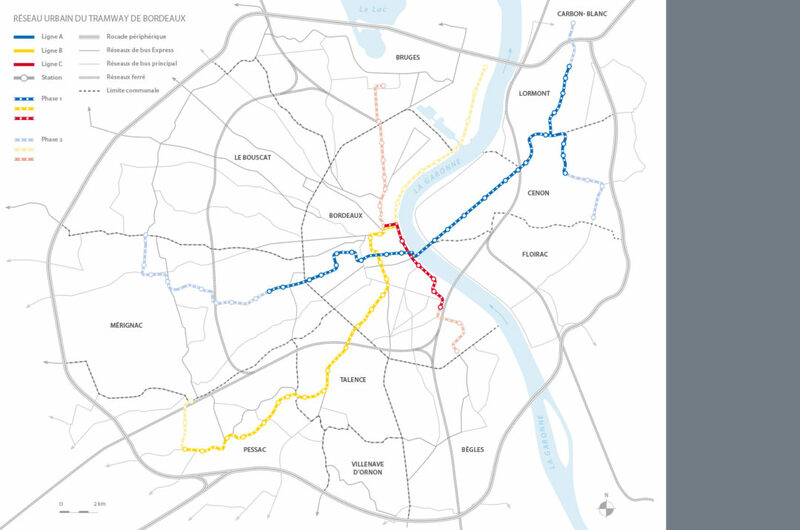 Rather than transforming the existing urban fabric, the tramline structure overlays it, becoming an element that unifies the different urban entities in the Bordeaux region. 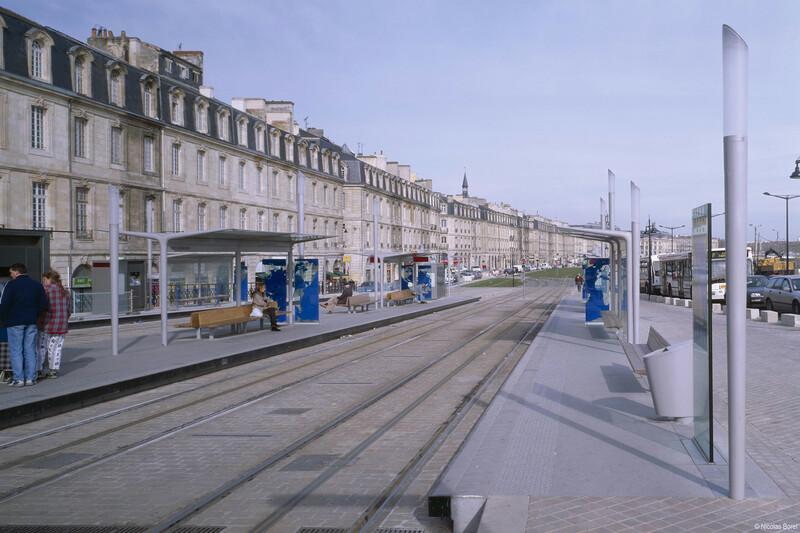 Design of the stations and urban street furniture of the Bordeaux tramline.